Lessons are on a one-to-one basis to any age (very basic reading is required). Scale work, technical work, sight-reading, performance and repertoire development. These lessons will include work on aural and sight-reading. Higher grades require a weekly hour lesson. 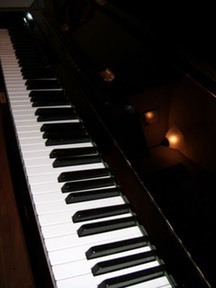 The piano that I use for lessons is a Yamaha U3 and I love it!